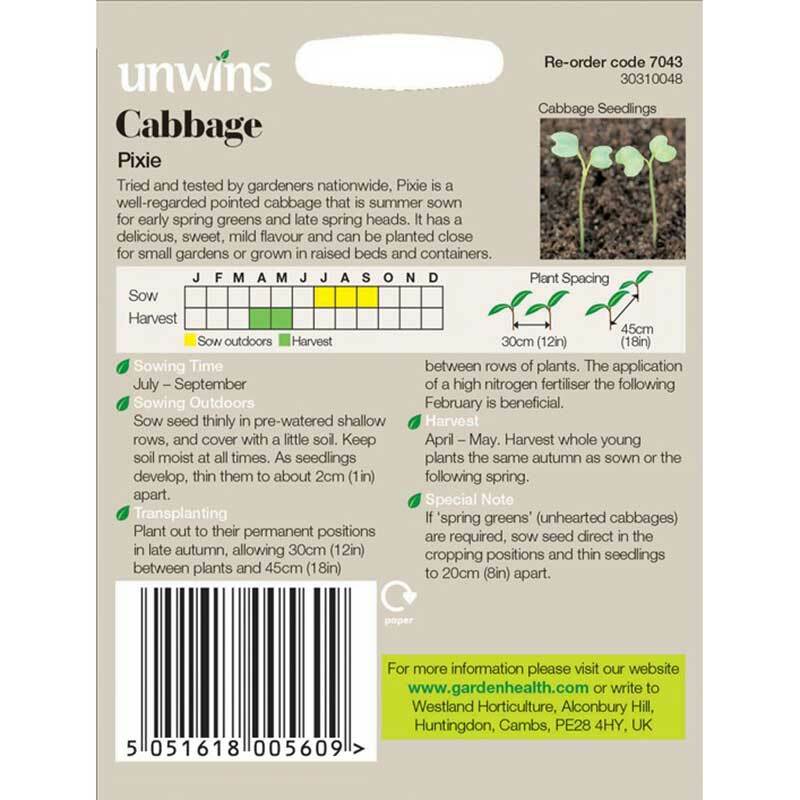 Pack contains approx 100 seeds. Tried and tested by gardeners nationwide. 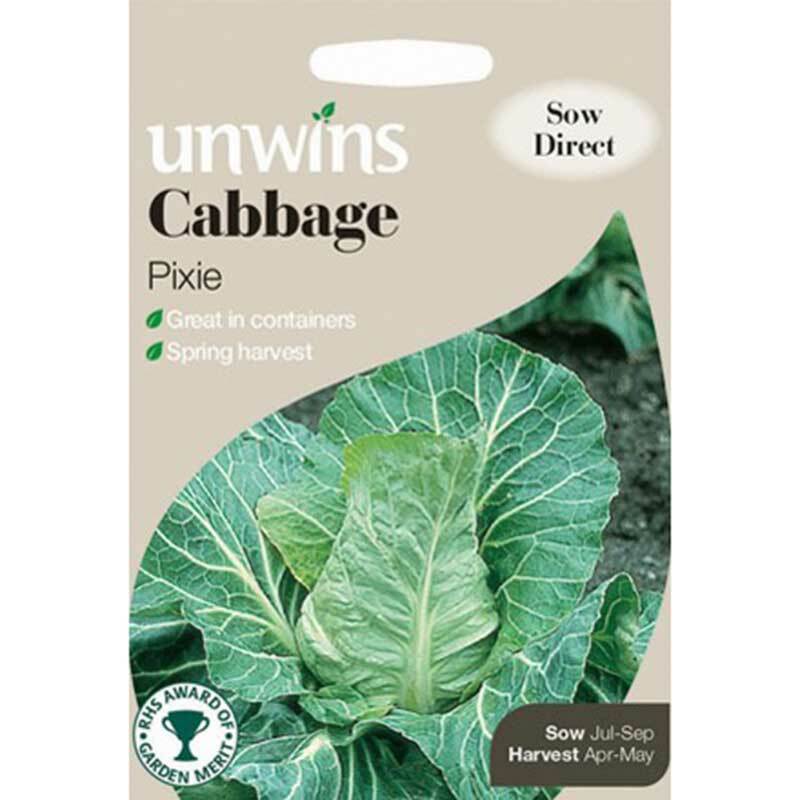 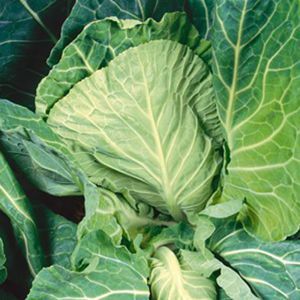 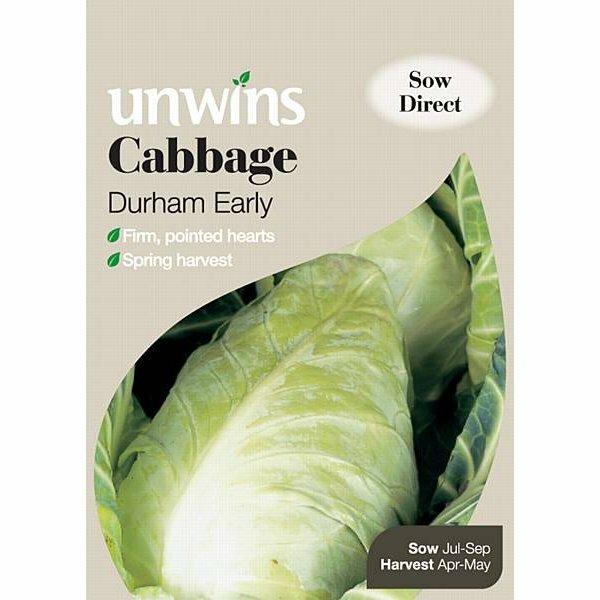 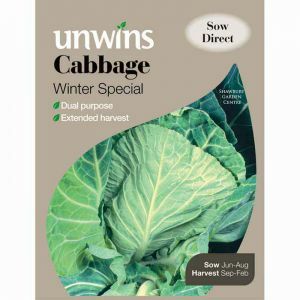 Pixie is a well-regarded pointed cabbage that is summer sown for early spring greens and late spring heads.